Video: How to never miss out on a date night again! With our foolproof system, date night stress will be something of the past! 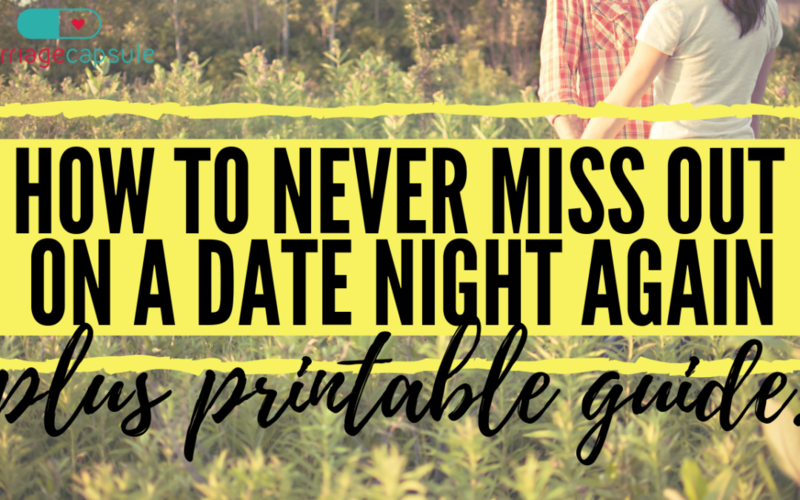 We show you how to never miss out on a date again! PLUS free printable guide. One of the secrets to a happy marriage is to never stop dating your partner… And to continuously invest in your relationship! We can help you with both! Invest in our 7 Step Method and discover your “why” again! Why did you marry your partner in the first place? Uncover your different temperaments as you work through the different levels, find out what the one thing is that a husband really needs and wants, find out what the one thing is that a wife really needs and wants… and discover how to heat things up in the bedroom again! CLICK HERE for the 7 Step Method! More than 800 couples have already said yes… Your marriage is worth it!